Can an American Help a London-based company getting out of trouble? Playtech is a company that has an office in Camden town. Yet, they’re boosting their US profile like many operators that have offices in the UK. As reported, the American Veteran Ian Penrose will soon join their office in London. Indeed, the US market is of great interest to the UK-listed company. For the time being, Penrose will act as a non-executive director to the board of the company. But Playtech would even like to see him replace its current chairman Alan Jackson. In essence, a change in the top executives would see many investors less concerned. Penrose is a well-known industry veteran. He resigned as CEO of Sportech a year ago. According to a recent press release Playtech hired him to “spearhead” its plans with the US market. And this is mainly because of the legalisation of sports betting on the federal level. Which of course brought along huge opportunities that Playtech sees like many other operators. But the two companies are no strangers to each other. Playtech held 9.9% shares in Sportech. But it decided to sell its share in 2013. During the time right before the sell-off, Mor Weizer was acting as Playtech CEO. His job was to guide Sportech’s all US-facing activities of the company. In fact, its online and land-based pari-mutuel betting was only the first step, to perhaps enter the emerging US sports betting market way ahead of the competition. 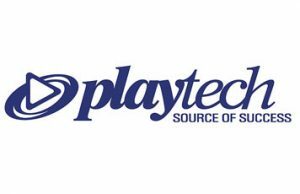 Playtech is about to release its H1 financial results any day. As the reports go, it will use the occasion to announce Penrose’s hiring. His first steps as chairman will bring a lot of buzzes, they hope. Because Playtech is currently in trouble, so to speak. In fact, the company’s shares dropped over one-quarter recently. The drop came after the announcement of challenges the company faced in some Asian markets.